Finding a way to look at the glass half full can take practice. But practising gratitude is one of the ways you can help yourself heal from anxiety and depression. Let me tell you how to start. Imagine this. You wake up, go to the window and tease apart the slats of the blinds. You see a grey sky, heavy with clouds. Rain threatens. Crispy leaves are blowing, tumbling down the street, with a crackle. What do you first think? My husband looks out at a landscape like this and immediately feels low. He'll talk about how it's a rubbish day and complain that he'll have to go out in this and it might rain. It'll probably be cold, too. Most rubbish day ever. Before he's even left the bedroom. I will look at it differently. I look at the swirl of the clouds, like the milk that falls in tendrils in a cup of black coffee. I sense the heaviness in the air somehow, and if I anticipate a storm I feel like it would probably be a good excuse to snuggle on the sofa in a blanket and watch Johnny Depp films. I notice the colours, and I become fascinated by the shapes of the clouds, the colours that contrast with the rest of the landscape and I wonder at how an impending, violent storm could look so pretty. I love it. My secret is that every single day I practice gratitude. For me, life is way too short to be spending it focusing on the negative. You have to look at your life and pull out aspects of it that are good, that you are grateful for. And then you focus on those. Eventually, you'll find that, with practice, positive thinking becomes easy. You find that you're walking around with a slight, contented smile on your face, rather than a busy, moody frown. And you'll have fun finding beauty in things you previously took for granted. The best way to find gratitude in each and every day is to approach the world with a new, child-like wonder and curiosity. 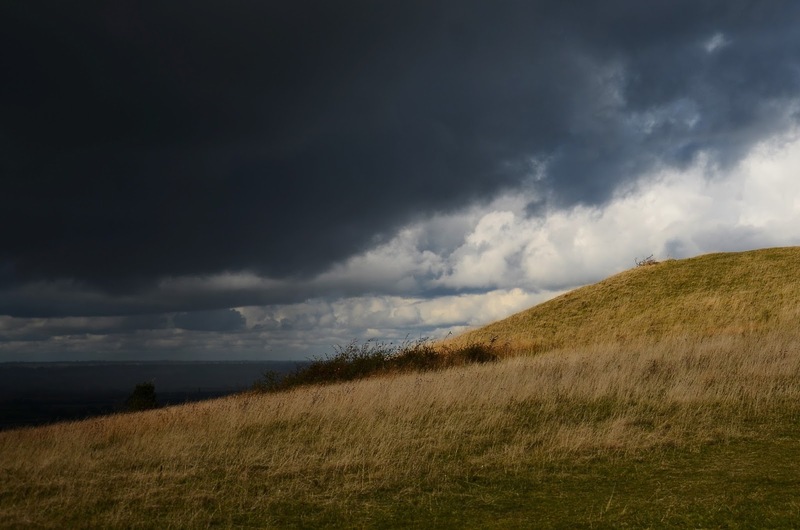 Look at a stormy sky as a thing of beauty, rather than a thing of dread. I might get soaked in rain if I go out in it, but I'm grateful for that storm. For its beautiful colours, the dramatic atmosphere. I'm grateful to have experienced that skyline and sense of foreboding that always makes the birds go quiet in the trees. It's an experience. And every storm is different. And then, once you practice this more often, you find other things to be grateful about. The beauty of a soft, deep green spring leaf, or a rusty, brown autumn leaf that's tumbled off a tree. The perfect formation a flock of birds flies in as you happen to look up. Looking at your own life, think about someone that's really made a difference in your life. It could be a family member, a friend, a movie star you've never even met. Maybe a singer has written songs that have had an impact on you in some way, and felt like it was written for you (I have a few of those). You can feel grateful for having come across their work in the first place. Grateful for cups of tea and chats with a friend. Grateful for family being there for your 11pm phone calls when you're worried about something and need to talk it over. The whole point of finding gratitude is to look at the things you take for granted and be glad that you have them. Running water. Air to breathe. A roof over your head. A comfortable bed to sleep on. I once watched an interview where a Holocaust survivor was explaining about the time after they were freed and he got to have a hot shower. He said he stood there, under the hot water and it was the best feeling ever. Imagine how many of us shower every day and just take it for granted. I keep a little journal of random things that make me laugh, or times when I've felt really grateful for something. I just jot them down when I remember. When I'm feeling a bit low, I'll have a read of the book and I'll soon start laughing again and remembering all the fantastic things, experiences and people I've had so far in my life. Try it. Each day, before you get out of bed, think of three things you're grateful for. This is something I get my children to do, too. Sometimes their choices are material: they're grateful for a new hairband, or a new album they've got. Other times they choose things that are much more personal to them - they're grateful for our family, or for the fact they might get their favourite breakfast on Sundays. We, all of us, can think of three things that we're grateful for each day. It might be a struggle to start with, but it will soon come readily, and you can start your day on a positive note. You'll be surprised at what a difference it makes. As you start to practice gratitude, you find that your mood will probably lift. It's much more fun to look at the wonder in life than to see everything as a difficult, pesky challenge. Since I have been practicing it, my mind is more still, and there's less chattering about problems and anxieties going on in there. Find things you're grateful for, every day and start your practice. What do you look out the window and see now? Interested in finding ways to incorporate gratitude into your daily life? I've written a guide that you might like on how to do just that, as well as practice more mindfulness, for the Autoimmune Healing Intensive. Click for more details. 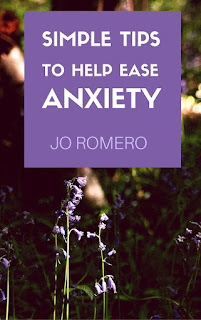 You might also find my eBook useful, Simple Tips to Help Ease Anxiety. Just £3 from Gumroad - download now! 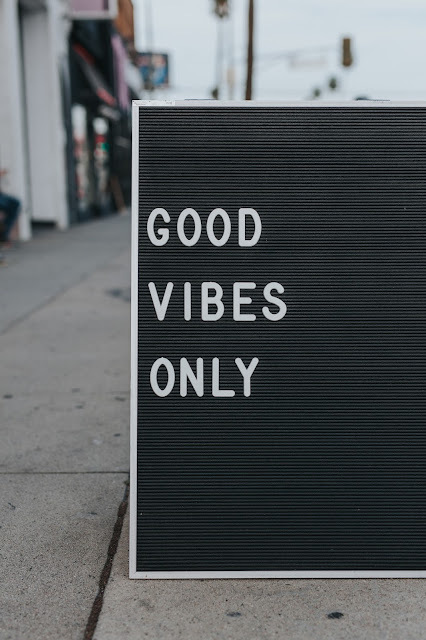 Such a great post, and I've found the same to be true that looking for good things makes you see even more good things in the day! Love this so much! Practicing gratitude daily has been life changing for my mental and physical health. YES! Love this. Gratitude is the attitude that makes life better. Heck yeah! This is so important! I start my morning every day writing out at least 7 things I'm grateful for, sometimes I do more. I have been working on this in my own life and it is so helpful! I think taking photographs has helped me learn to be grateful for some of the visual beauty in the world that I didn't even notice before. Gratitude has changed my life! Great tips!